David Morrell’s conclusion to the trilogy featuring Thomas De Quincey is another example of stellar writing and storytelling. 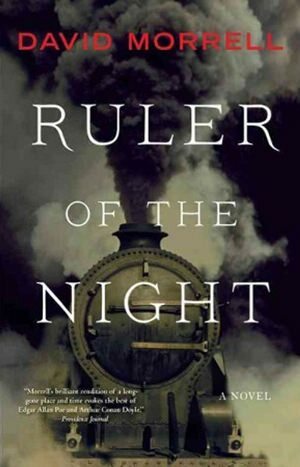 In the two previous novels featuring the essayist and opium addict, Morrell has taken the reader on a journey back in time to Victorian London, and in “Ruler of the Night,” he saves the best for last as he centers on a crime that haunted London. It’s 1855 and transportation by train has just been introduced. Though many are wary of the vehicles that belch black smoke, others are fascinated. When a man is murdered, panic ensues. The crime is brutal, and people begin to grow wary of train travel. Though the real crime Morrell depicts occurred in 1864, the details are accurate. Fact and fiction blend effortlessly as De Quincey and his daughter Emily search for the culprit. Thomas has been trying to kick his addiction, but he’s struggling. Working with his daughter and their Scotland Yard friends to solve the mystery might help him end his need for opium — or lead him into a dark spiral that could lead to an overdose. Real historical figures mix with the heroes, and the thriller elements are both terrifying and grotesque. Morrell’s impeccable research shines, as the story feels authentic and vivid. Readers will feel transported to Victorian London with all of the sights and sounds that go with it.